We’ve all heard of the camera obscura, but how many of us have an understanding of what it is? If you happen to be visiting New York City, an art installation in Manhattan’s Madison Square Park lets you actually step inside a camera obscura to see how this low-tech photography technique works, as reported by Imaging Resource. 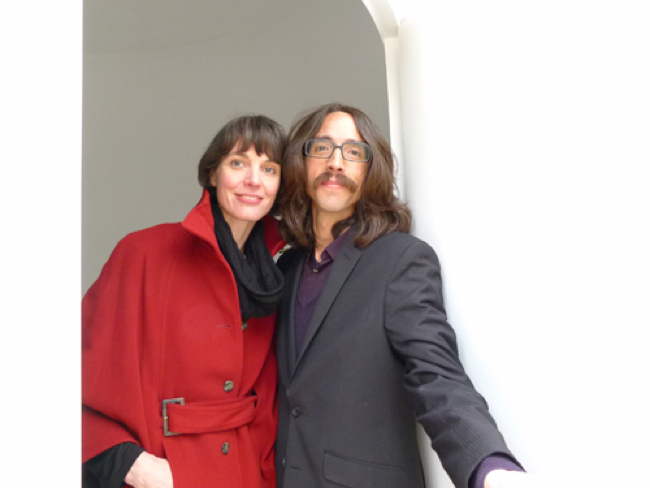 Artists Sandra Gibson and Luis Recorder, creators of the camera obscura installation at New York City’s Madison Square Park. Sandra Gibson and Luis Recorder are the New York-based artists behind “Topsy-Turvy: A Camera Obscura Installation.” The exhibit, which runs until April 5, lets users view the surrounding Flatiron District with a new, “ancient” eye. A camera obscura is the original camera, which captures images by exposing light onto a surface such as film or treated paper to light, not completely unlike how modern cameras work. While a simple camera obscura – also known by hobbyists as a pinhole camera – can be easily fashioned out of a shoebox, ancient camera obscuras typically take up more space. The original camera obscura was developed as early as the fifth century BC, with mentions of the device by Chinese philosopher Mo-Ti, and later mentions by Aristotle. The device often uses an entire room to project and capture an image through lenses. 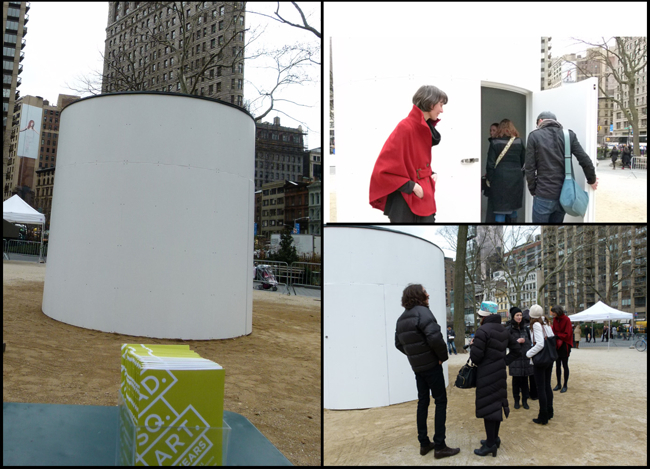 For the Madison Square Park installation, the artists constructed a 10-foot-tall circular structure in the middle of the park. The installation uses the physical properties of light to capture images of things surrounding the structure. “Topsy-Turvy is our homage to one of the earliest moving image technologies in the pre-history of cinema. The projected image inside our circular Camera Obscura delivers a topsy-turvy panoramic abstraction of Madison Square Park and the surrounding scenery around the Flatiron District,” said the artists in a statement.